According to research that birth order has something to do with the personality of a person. Each birth order has its distinct characteristics and personalities. The most crucial birth order is the middle child. Being the middle child is usually not very easy. It comes with some shame. They typically take on one of two personality types. The first type of personality is that of a loner. They are used to the first born and last born getting the attention, and so they become a bit of a loner. They are often shy because they have learned to let those who desperately seek the spotlight have it. They often become impatient quickly simply because they expect to be the last one to get what they want or need. The other type of personality would be the opposite of the above. They may be very outgoing because they have to get attention or they may be extra friendly because they are used to being surrounded by people. Usually a middle child will have almost opposite personality to that of their siblings. 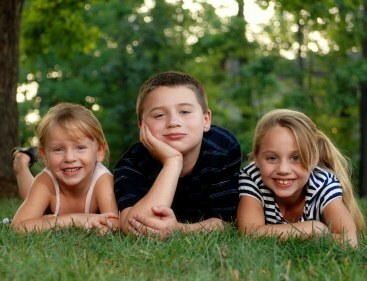 Of course not all middle child but according to research that birth order can affect personality type. Most middle children have the following personality traits: They are fairly flexible. They have grown up needing to be flexible. They tend to be sensitive. Most middle children have a lot of practice at being thoughtful. They are usually in some sort of struggle with their siblings, which helps them learn the skills of diplomacy. They are often rebellious. The middle child tends to be overlooked by the parents. No matter how hard parents try, they usually end up giving less attention to the middle child. The middle child usually has to share the attention. This means that they often act out in order to get noticed. They tend to be attention seeking. This goes back to the same reasons as before. They are used to being the one who is overlooked somehow, so they often seek attention, often in negative ways.They are usually competitive. Being a middle child typically requires fighting for the spotlight, etc. They typically have to share things like vehicles, wear handed down clothes, etc. This often results in the fostering of a competitive nature. They are also often peacemakers. Middle children are typically peacemakers by nature. They have to be because they have someone on either side of them.Middle children need lots of reassurance that they are important the first and last child. Some ways to avoid the negative aspects of a middle child personality is just insuring they are confident and secure in your love for them. Keeping in touch with your kids is very important especially when they are out for some activities during summer. And the only way to stay in touch with them even if they are away is through cell phone. For parents it is really an additional expense to their budget, but it is a good way to monitor their children. So if you are looking for a low cost phone for your kids then Tracfone is the answer to your needs. With the use of Tracfone, you don’t need to worry about your expenses because they offer the least expensive way to own and use. You don’t have obligation to think of because there are no contracts, no credit checks, no activation charges or cancellation fees. Real TracFone customers will enjoy the great nationwide coverage, excellent reception and connectivity and So many features of their phone. For their monthly plans, you just have to pay as you go online or with cards available at retail stores all across the country. You can have 1 year service cards, receive double minutes for the life of your Tracfone, 800 minutes and you just have to pay $119.00. You can just imagine how much you can save from using Tracfone. They also offer other phone plans. They have monthly plan with 200 minutes for only $30.00 and as low as $9.99 for 50 minutes. Real TracFone customers can choose from among the plans that suit their budget. You can also use your Tracfone to call long distance for the same price as any other call. You can call over 60 international destinations at no extra cost. Great savings isn’t it? You will really enjoy the So many features they offer sine with their international neighbors program you can give to your family and friends in Mexico and Canada a local phone number in those countries to reach you at your Tracfone in the US. Really amazing! What are you waiting for? Get your Tracfone plan now and enjoy great savings of your cell phone bills. For more information about Tracfone, please check out this videos.